A while back I wrote on some new purchases that I made from Lush. In that post I also promised a review that would be forthcoming to make sure that what the products claimed, they did. So to recap, I’ll be reviewing their body butter: Aqua Mirabilis (although I originally mentioned having their Buffy bar on my wishlist), their shampoo bar: seanik, and lastly, their mask: cupcake (available fresh only, in-store). My Characterists: Ok, when I say characteristics I mean what my skin, face, and hair are like so you can know if these products will work for you. Firstly, my skin tends to be dry, although you wouldn’t know it by touching or looking at it. It’s more of a tightness that I, personally, feel. Next, the face; my face is oily, and very prone to breakouts. My hair does have an oily scalp, and I have thin-ish, and straight locks. I also have bangs, which doesn’t help my forehead in the battle against oil. I got this over the Buffy bar and I couldn’t be happier, it’s got bits of ground up almond in it so it smells amazing for me. It’s gentle on my skin and very soothing after I use a scrub or shower gel. Usually after using this in the shower I don’t need to use lotion till morning. That’s an A+ in my book. I have oily hair and scalp as I’ve mentioned. Usually I can’t go 24 hours without washing my hair, and dry shampoos only make the oil look like caked on dirt. I was told this shampoo, as a result of the seaweed it contains, draws moisture from the environment when it’s necessary to keep ends and other parts of hair moist when they have to be. Also, keep it balanced when it’s dry outside and when you’re nearing the end of the day and your hair is less than perfect. Surprisingly, this miracle shampoo does all that! On my trip to Northern Cali for Valentine’s Day, Boyfriend and I stayed right on the ocean, meaning lots o f moisture to go around. My hair was wonderful for two days without washing because of the amazing seaweed “balancing” action! I’m in love. And I refuse to use anything else. Added bonus: because it’s so hydrating, I haven’t used conditioner in months! This mask is supposed to draw out the oils and toxins from your skin while keeping your oil glands in check. If used twice a week the coal in this chocolate concoction should act as a natural regulator (like the sulfur springs everyone is raving about) for oil, pore clogging debris, and toxins. This is what I thought: it reduced my oil on the forehead (which is the oiliest) by about 40% on a good day. I still had breakouts and my skin felt great only right after I used it. I’ll pass on this one next time and see if I can try another happy mask. 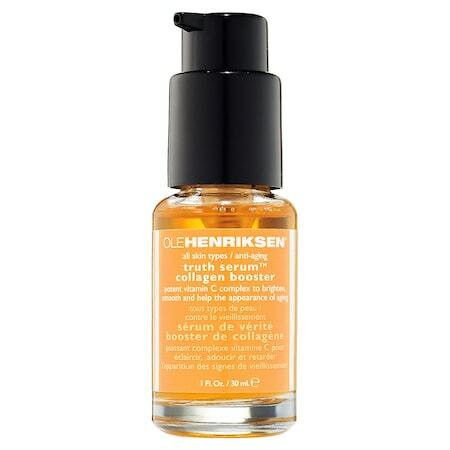 Finally, to mention the star of my skin routine: Ole Henrikson Truth Serum. This thing helps to make my pores smaller, makes my skin brighter, and since I’ve been using daily it’s helped to brighten the dark spots past acne has left behind. Also heals current breakouts faster due to the vitamin C booster. I’m really happy I splurged on this item because I’ve been using for the past three months and barely dented the serum to half the bottle! My title has in it also “bargains”, not just reviews. This part of the post is the reviews. Rite-aid reviews to be exact. 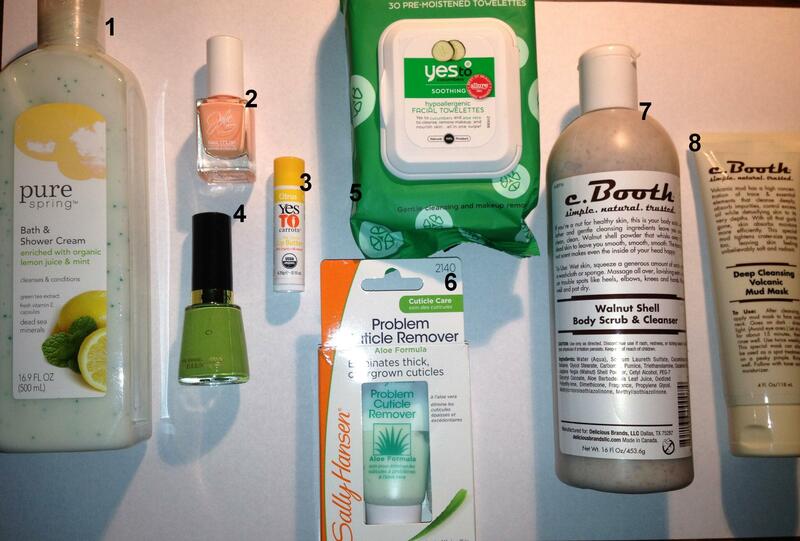 A lot of great, and cheap, products can be found at drug stores, if people know where to look. My goal was not go over $30 and buy at least 5 items that dealt with skincare or beauty. Today was my lucky day as they had a sale going! Posted in Guides, Notes and Desires, Thoughts and tagged bangs, bargains, body bar, buffy, c.booth, chapstick, cuticle, face mask, green, lush, masks, nail colors, nail polish, nails, oily skin, orange, replacements, review, revlon, rite-aid, sale, sally hanson, sea, seaweed, shampoo, shampoo bar, spring, yes to carrots, yes to cumubers. Bookmark the permalink. I’ve been quite hesitant to buy new shoes. Partly because the last few times I went over to Urban Outfitters the shoes were way to expensive, and while adorable, were terrible in quality. 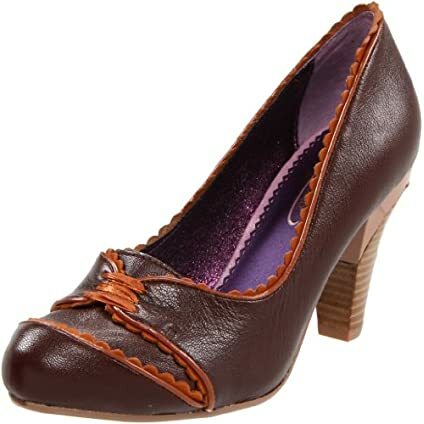 Then, I got a pair of Seychelles heels from Urban, and I loved them right away. Leather, turquoise in color, what couldn’t I love? I’m a size 8, so naturally I bought a size 8, and that was my first mistake. The shoes were about a size and a half too big. I thought I could fix that by adding a ton of insoles and heel guards, and wearing them with tights but that can’t really work, and it didn’t. So I gave them up. Finally I went on amazon and decided to give Seychelles another chance, and that’s where these babies come in. The seafoam green pumps are incredible. They were slightly too big but some heel guards fixed that problem. Most importantly, they were completely wonderful to walk around in. I work in a middle school, running after my client, making sure she knows how to get along with peers, listen to directions, etc. Anyway, I’m completely in love with them, and will be getting them in the other colors. The flats were a little bit of a disappointment. First, I got a size down, thinking that if the pumps were a little too big, the flats must run large as well. Nope! So my amazon purchase was in vain. I tried again, this time true to size with an 8, and they were … alright. The shoe style is pretty fantastic, however, they are so stiff it’s hard to walk in. That’s a good thing, because the soles won’t wear within a month, but I need to wear thick socks while wearing them for a good four days in order to stretch them out. I did the laundry in them in this state and washed dishes and vacuumed, so it’s coming along. Without the stretching the shoes are maybe half a size too small. At least it feels that way. They’re gorgeous but a shame I won’t be wearing them soon. Now, I’ve also had to return a few shoes. While these look good in the photo, in person they looked oddly colored and the top detail looked crooked. Noticeably so. Finally, my luck caught up with me when I walked into a Clark’s store and tried on these babies. They’re amazing. I can’t wait to wear them again. I’ve worn them four times already, and once again, walking in my occupation is completely necessary and comfortable, but professional shoes, are a rare and wonderful find. COME ON WHO WOULDN’T LOVE THESE SHOES!? 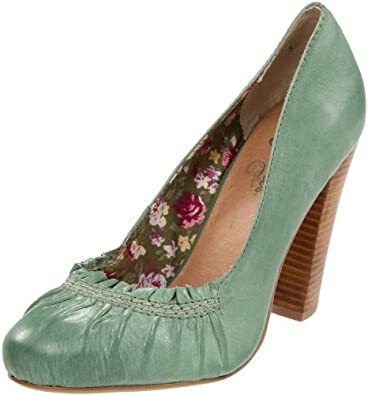 Posted in Guides, Notes and Desires, Thoughts and tagged amazon, black shoes, clarks, disappointment, green, heels, poetic licence, pumps, purple, seychelles, shoes, size. Bookmark the permalink.